FoxyMoron Consolidates Online Listings Portal – Quikr.com! Their services include Social Media, Application Design & Development, Media Planning & Buying, SEO, SEM and Website Design and Development. Foxymoron is handling Quikr is a city based free classifieds websites allow you to post free ads, find what you are looking for and address your regular needs by connecting people in a faster, simpler and easier way. The pitch was a competitive, multi-agency pitch. Quikr was launched to build a destination where people from the local community sell, buy, rent, or find anything in a simple and easy way. Quikr is present in over 65 cities across India and has over 165 categories of products and services. Quikr helps people meet their regular day to day needs by connecting them in a simple and easy way. 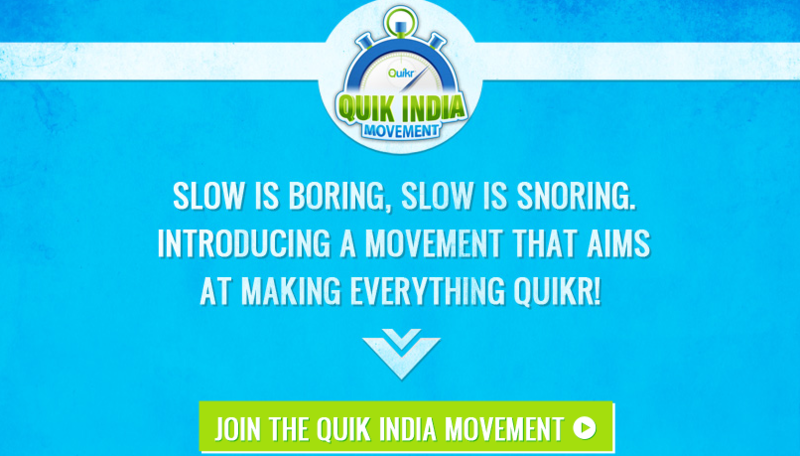 The key proposition of Quikr is that it facilitates transactions quicker than any other portal in its category. The focus at FoxyMoronis to enhance the social media presence of this brand by highlighting this aspect of the brand, and reinforce the fact that faster is simpler and better. We were impressed with the energy and ideas Foxymoron brought to the table. They have worked with an impressive roster of clients and we felt they would be able to further strengthen brand Quikr’s footprint in the social media space. says Aparna Mahesh the brand head of Quikr.